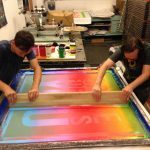 ESA is a worker-owned cooperative that is loosely based in Western Massachusetts, with members also in Chicago and elsewhere. They specialize in creating tools and educational program for social justice organizations and other people fighting for a better future. 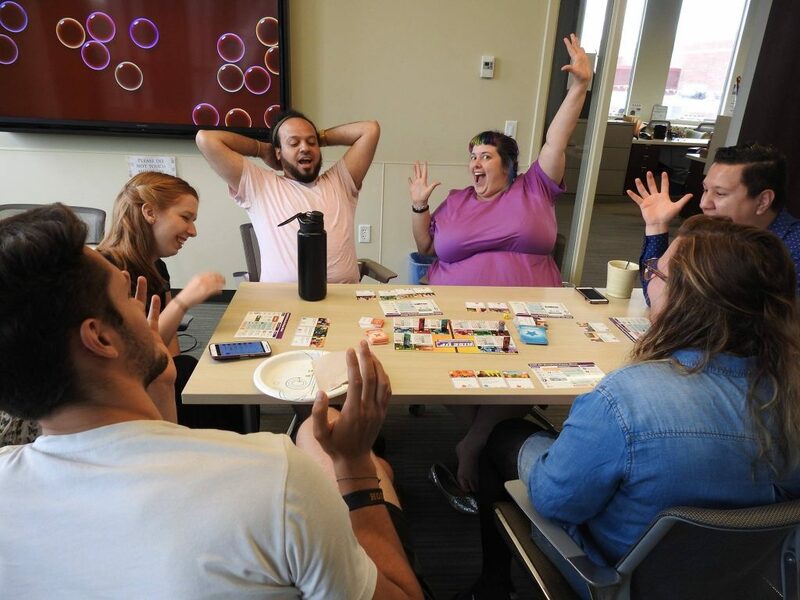 Most notably, two of their board games Co-Opoly and Rise Up have helped activists strategize and build community while having fun. 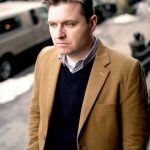 I spoke to member Brian Van Slyke about co-ops, games, and activism. For folks who have never heard of you, can you explain what TESA is and what you do? Yeah! TESA stands for The Toolbox for Education and Social Action. We create tools, programs, and games for your cause. We both create games in-house which we sell and distribute, and we work with other organizations to build educational tools and fun games for their missions. So, for example, we’ve designed and published Rise Up: The Game of People & Power and Co-opoly: The Game of Cooperatives. Our games have been played by tens of thousands of people in over thirty countries. In addition, we’ve worked with other organizations like The Nature Conservancy to build games for their causes, as well as the International Rescue Committee to build training and curriculum for their vitally important work. You’re a worker-owned cooperative, just like us. How does that impact the daily work that you do, especially since some of you live in different cities? Quite a bit! We actually experimented with the cooperative model for a long time before we found the right system for us. (We’ve been around for eight years now!) But that’s the beauty of cooperatives: there’s no one-size-fits-all approach. It’s a very flexible model for different types and sizes of groups. For a long time, we worked with a model where every one of us was doing everything: sales, game development, marketing, writing articles, administration, client work, and so on. It was challenging! We all used to live in the same space and have a shared office, so we’d constantly be working on the same thing together. Eventually, we began to give individuals more autonomy, and we really found our groove with that approach. For instance, I’m now in charge of our game development, working with our game clients, and marketing. I used to be a part of every education project, but now I’m not at all. And to be honest, it’s nice. I trust my co-workers to do their work, and they trust me to do mine. We of course report back to each other, help each other with challenges, plan long term together, set goals together and so forth. So we operate as a collective, but we have delegated responsibilities to individuals while trusting and supporting them to do that work. It has made our cooperative work so much more successful. In a culture that is increasingly digital, why board games? What is it about a group of people sitting around some printed boards and cards that furthers your mission? We’re actually living in the golden age of board games. Part of that might actually be driven by video games—the concept of games are becoming more normalized, but people also still want to spend time with each other face to face. And so, voilà: board games. There’s also a ton of new tools and creators making indie games. That includes us! 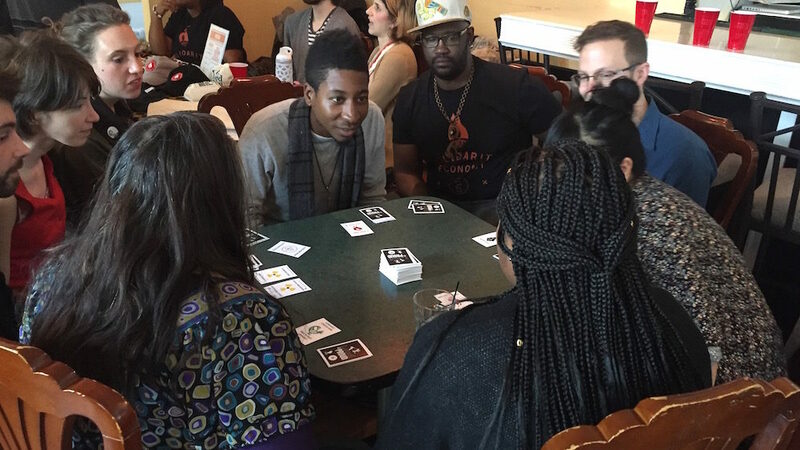 Games are a great way to spend time with your family and friends, and at the same time they are also powerful tools for getting people to imagine themselves as change-makers. We find that about half of our games are bought by individuals, and the other half are bought by organizations and institutions like universities and non-profits. Games encourage people to engage with topics in low-stakes settings while building lasting memories and connections to important subjects. Plus, we’re not the first ones to do it. There’s actually an untold history of progressive board games. So people have been using board games to fight for a better world for over a hundred years! Let’s talk a little bit about your most recent game, Space Cats Fight Fascism. Space Cats Fight Fascism is officially available for purchase! It was made possible earlier this year thanks to a crowdfunding campaign on Kickstarter, where over seven hundred people contributed to getting it manufactured. 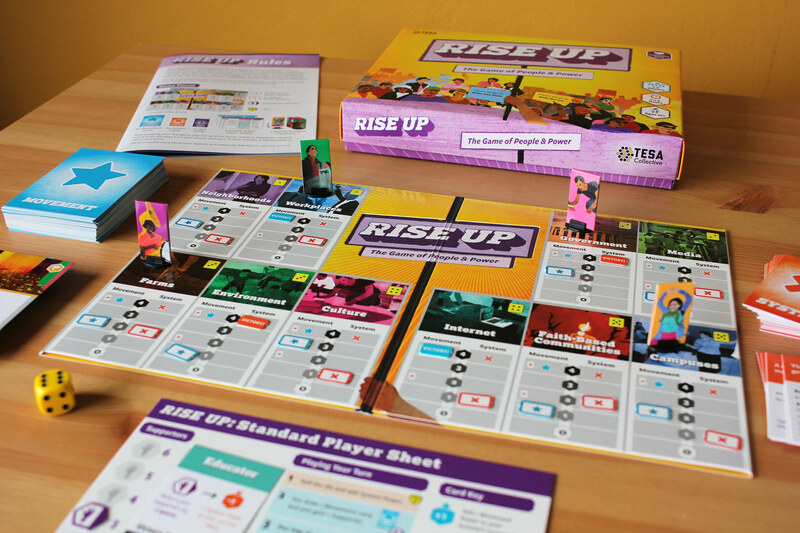 Most of our previous games had been very literal takes on issues and movement building, including Rise Up and Co-opoly. But shortly after the election of Trump, we were trying to figure out what our next game would be. We wanted to address the rise of proto-fascism, right-wing extremism, and white nationalism in this country. But a game about that sounded… overwhelming. So we started to discuss setting it in a fun, allegorical setting. Until finally I said in a meeting, sarcastically, “What, so like cats, in space, fighting fascism?” And everyone else was like, “Yes! That!” And so Space Cats Fight Fascism was born. The game is a humorous take on an unfortunately timely topic. With cards like, “Knock Over Fascist Things” and “Cuddle in Solidarity,” you’ll work together to stop the rise of the fascist Rat Pack, who are trying to force the galaxy under auto-ratic rule, while building a new galaxy where all species are free together. Also, like all our other games, Space Cats Fight Fascism is made in the US, by a worker-owned cooperative, on recycled materials whenever possible. 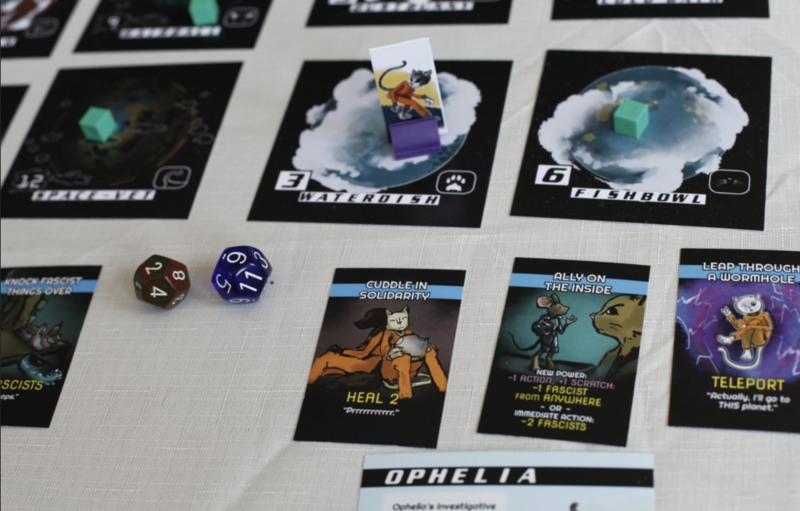 We’re leading the charge in the board game industry to have games ethically manufactured. Besides games, you also develop curricula for pretty big clients like the NYC Department of Small Business Services and SCO Family of Services. What does that work typically look like? We work with organizations—big and small—around the country to develop educational tools and programs for their missions. This work is so fulfilling to us because we’re not building curricula that organizations are dependent on us to implement. Instead, we work with them to build the programs they need that they can implement themselves; after all, they’re the ones who know their communities the best! These organizations hire us to either build them new tools and programs from the ground up, or we work to improve their existing materials. One of the things that separates us, though, is that we specialize in creating educational materials that are based in conversations, teamwork, activities, problem-solving, and social justice principles. We don’t make your PowerPoints better—we help you build alternatives to PowerPoints that are rooted in getting participants excited and engaged. You can read more about some of the projects we’ve worked on in our portfolio. Does TESA have any other big projects in the works, now that Space Cats is done? Yeah, we’ve got several more games in development! We’re looking to break into even more subjects with our games: people’s history, environmentalism, and more. It’s so exciting to see so many people enthusiastic about games for changing the world, and we’re thrilled to be able to be creating these games. Our movements need to be fun! If you want to stay up to date about the games we create, sign up for the TESA newsletter. We also have a bunch of past clients for our educational and game services that we’re working with again on new projects, and we’ve got some new organizations who we are working with for the first time. If you’re interested in working with us, drop us a line! Who comes up with all the amazing puns? Be honest. We all do. It’s in our job responsibilities. You could call it our collective respunsibility. But seriously, we just kind of riff all the time in our meetings and try to make each other laugh. So we like to make other people laugh too. As a game publisher, part of our job is to make things fun for people. Even if that sometimes includes making amazing puns!